As a nail-oriented beauty blogger I have to combine my love of nail-related things with touching my precious electronics (laptop, camera, iPhone, etc.) so I'm always on the hunt for what I consider a magical unicorn moisturizing product - i.e. one that is both moisturizing for my precious finger areas, but also the opposite of greasy so that I don't smear it all over everything. 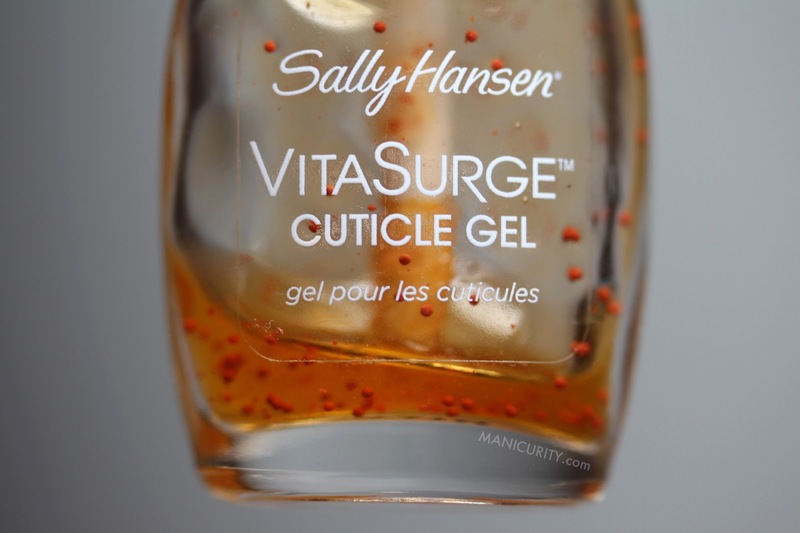 I recently picked up the Sally Hansen VitaSurge Cuticle Gel to see if it was my unicorn! Could an adorable orange gel with suspended vitamin beads be the answer to my moisturizing-yet-matte need? Comes in a glass bottle that reminds me a little of their polishes - like the Fuzzy Coat bottle with the Xtreme Wear lid - with a fluffy, slanted doe-foot applicator. I like that you can see how much product is left because it's a clear bottle! I don't love that the wand is too short to reach the bottom of the bottle; feels like the little product that's left is hard to get at. 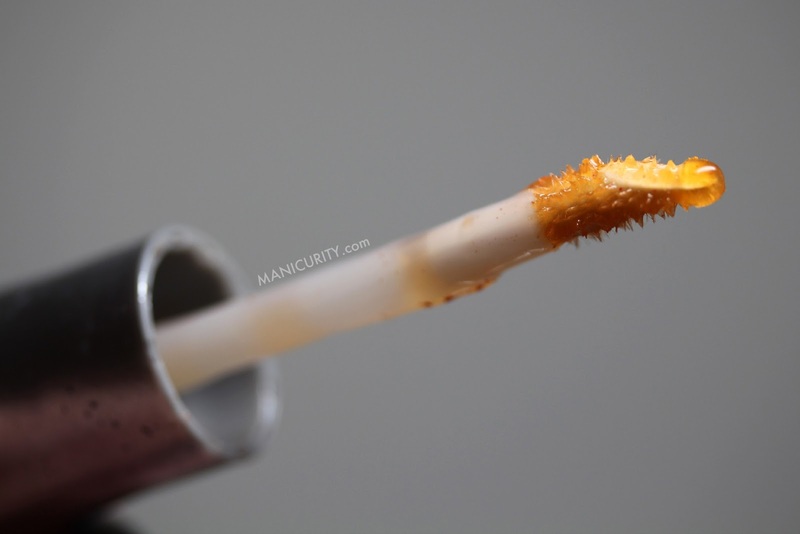 Also I'm not totally sure if the applicator is 100% sanitary; I know some people use single-use applicators for lip glosses with this kind of wand to keep the product sanitary. At least with this cuticle gel you would use it all up in a few months vs. a lip gloss you might want to keep for a longer time. - Let's get real - popping little beads is super fun! I like this cuticle gel, but I don't know if I love this cuticle gel. I like that it is lightweight, easy to rub in to my fingers and sets to an attractive satin-y finish that makes my cuticles look really pretty and healthy. I don't know if this is really moisturizing enough to be the only product I'm using - especially because I don't find it likes to combine with other products well (like lotion, err...). Instead, this seems to be a day-time 'maintainer' type product that keeps your nails looking their best once they are already fairly well maintained. It's absolutely perfect for what I initially bought it for - to keep next to my laptop and use in the middle of the day while I'm working on the computer! Available wherever Sally Hansen is sold (like drugstores, Ulta, etc.) for roughly $6-7! I got mine at CVS during the Winter Beauty Clearance sale for $1 and change. Maybe! I am always looking to try new cuticle care products, tho, so I wouldn't consider this a "must purchase right away HG" type item. 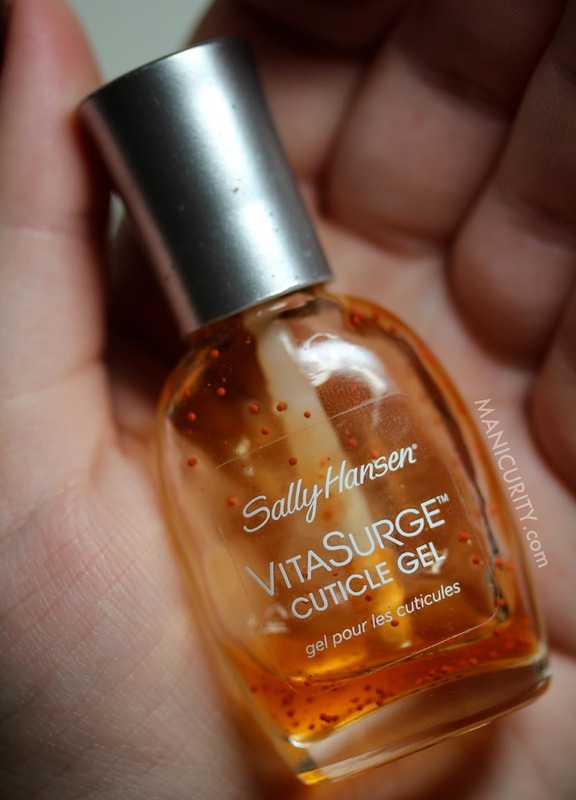 Have you tried the Sally Hansen VitaSurge Cuticle Gel? Do you have a favorite cuticle product to recommend to me?! Disclosure: I bought all the things mentioned! If you'd like to know more about my policies, please see my disclosure page. Thanks so much, Lisa! Have you tried a cuticle gel like this before? Hmmm, I've recently been on the hunt for a good cuticle product. I like my Essie Apricot cuticle oil but I can't help but feel like there's something better. I've definitely never heard of a cuticle gel. I hear ya! I usually like to pair my oil with a balmier type product, at least with my before-bed routine. Apricot cuticle oil sounds like it smells amazing! This is an excellent and thorough review! Thank you! I think I'll skip this one and just stick to my Bliss Kiss Nail Oil. Thanks for the comment Briana! The doe foot applicator does seem a little unusual; most cuticle gels typically come in a pen with a brush applicator. Not sure if I've seen this one before, but that are so many Sally products, I may have just overlooked it. I LOVE comments! But pretty please don't leave a link to your blog or website - if there's something you want me to check out, tweet me @manicurity, say hi on my Facebook page, or email me at: manicurity (at) gmail (dot) com. Comments with unrelated links are considered spam and will be deleted. Adventures in Depotting: Eyeshadows, Blushes, and Bronzers (oh my)! Want some extra beauty in your inbox? Visit Emma/Manicurity's profile on Pinterest. Manicurity© by Emma Hoop 2011-2014 | All photos are property of Emma Hoop regardless of where you find them on the internet (i.e. Google or weheartit). Please ask permission before 'borrowing' a photo. Thanks!